The rain held off until the second act, and by then the poncho-clad audience was fully committed to this fresh, startling, and mesmerizing production. “Hamlet” isn’t a play with many laughs, but a hard rain was coming down when King Claudius, remorseful over killing his brother, said of his cursed hand, “Is there not rain enough in the sweet heavens to wash it white as snow?” Of course the spectators roared with delight. 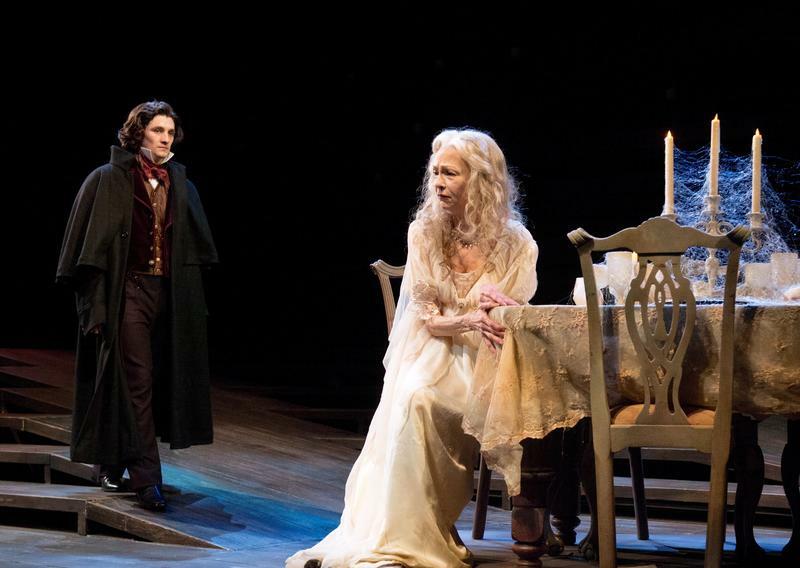 Director Lisa Peterson, and a sterling cast led by Danforth Comins as Hamlet, give us a play focussing on loss, revenge, madness and mortality, wrapped up as a tragic ghost story. The background of live music in a style called Doom Metal, ominously underscores the action. Even the gorgeous silver-grey costumes reflect a sense of doom. Prince Hamlet, home from college, wears black to mourn his murdered father, as well as the unholy marriage of his mother to her dead husband’s brother. The cast is impeccable, and sometimes unexpected, especially Christiana Clark as Horatio, Hamlet’s compassionate college friend. Derrick Lee Weeden as Polonius pompously gives advice that isn’t bad, but typically ignored by his children, Ophelia and Laertes. 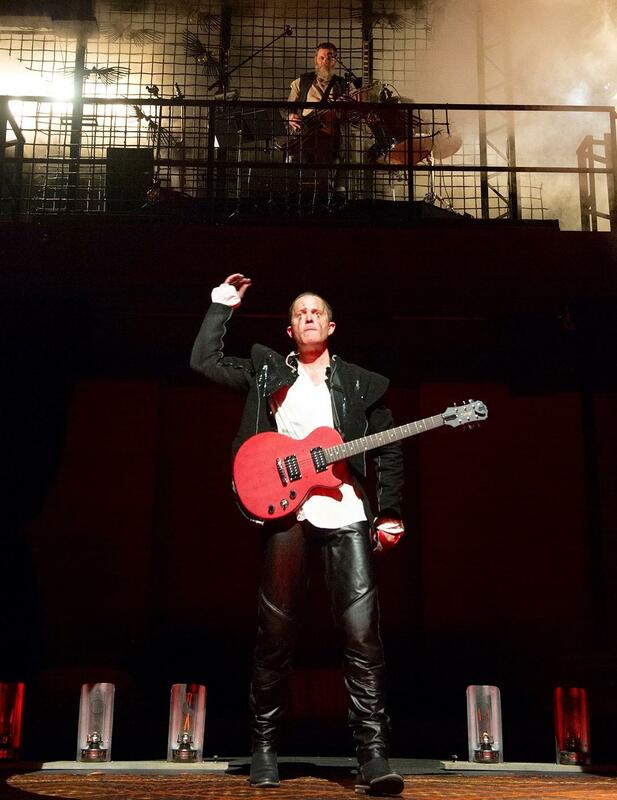 Comins, as Hamlet, believably evolves from likable youth to tragic madman. He brilliantly manages to shine a piercing new light on the most-quoted passages. Director Peterson has made Shakespeare’s play as clear to us today as it must have been for the groundlings standing in the rain at the Globe Theatre. 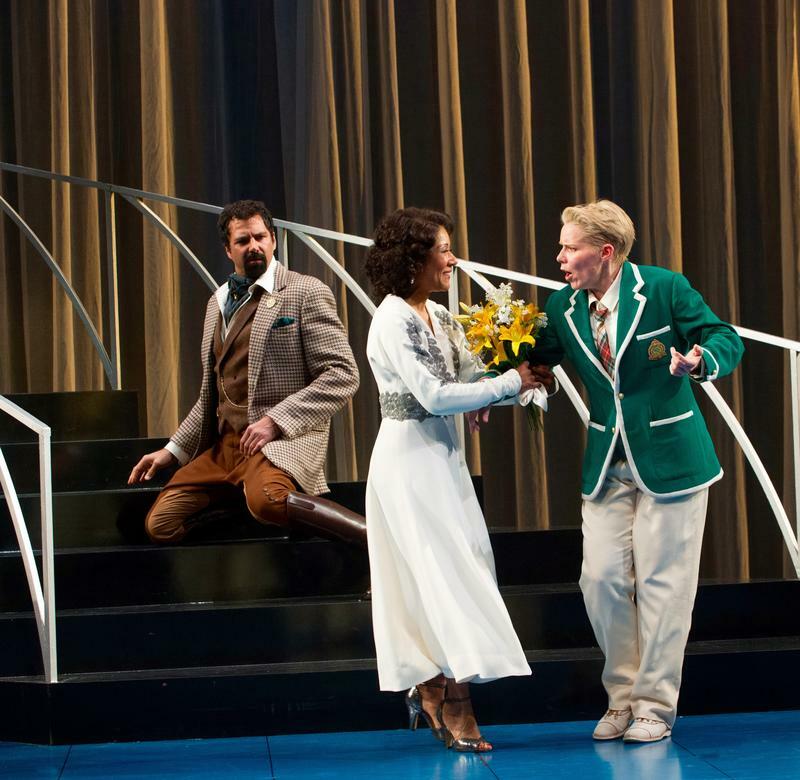 Shakespeare’s much loved comedy, “Twelfth Night,” is a joyful choice for the new season at the Oregon Shakespeare Festival. According to director Christopher Liam Moore, joyful is the operating word for the play. It begins with a shipwreck and the presumed death of Viola’s brother Sebastian. 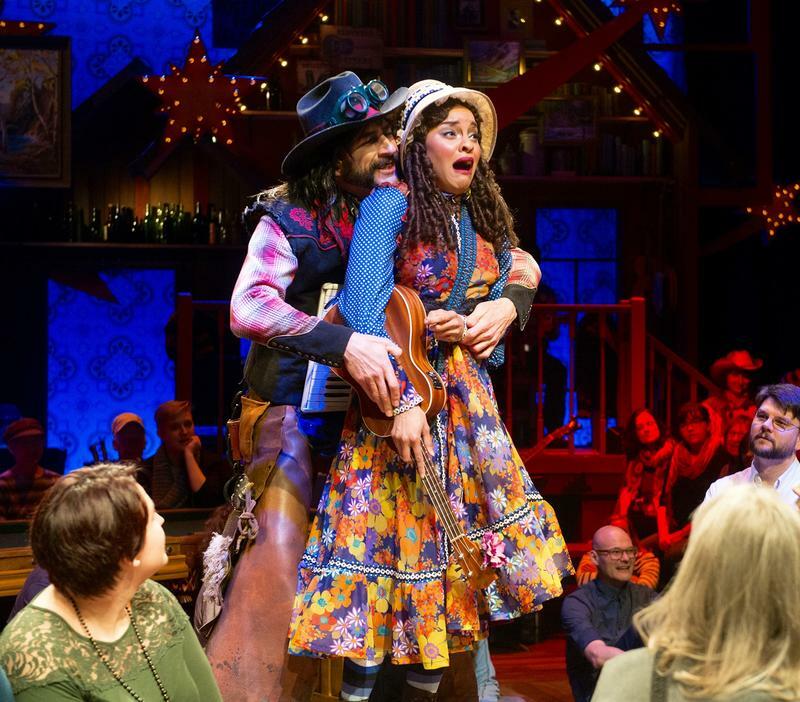 Who would have dreamed that a theater company in remote Ashland, Oregon, so far from New York, would be sending shows to Broadway and major theaters across the country? The Oregon Shakespeare Festival, now in its 81st year, is renowned for producing not only all of Shakespeare’s plays, but for developing new works that will likely stand the test of time. 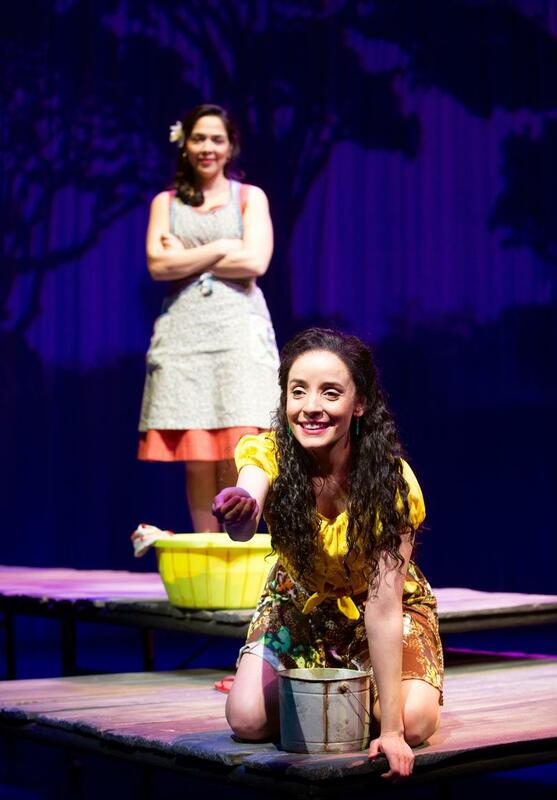 One of those new plays is “The River Bride” by young poet-playwright Marisela Treviño Orta. This enchanting fairy tale inspired by Brazilian folklore takes place in a small village on the Amazon.